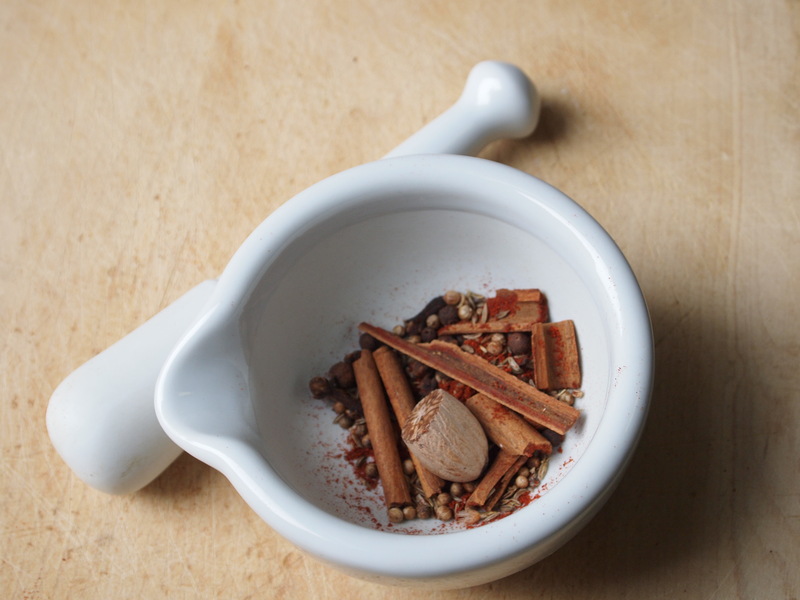 This recipe is from the internet, not from a vintage cookbook…but making your own spice blends is a seriously old-fashioned pastime (and one that I intend to try more, now that I have a nice new coffee/spice grinder). 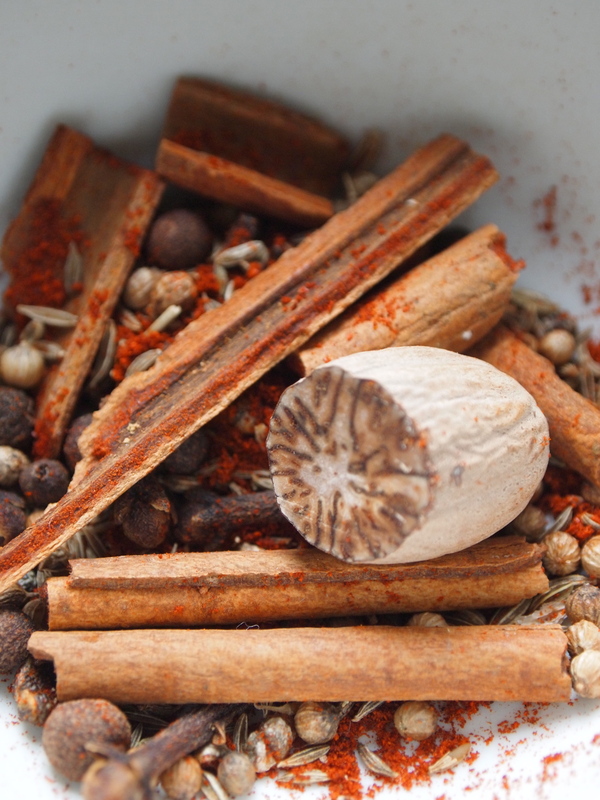 Making your own spice blends is fun, thrifty, and a great way to make your house smell awesome. Spices also make great holiday gifts: I know I already associate cinnamon and nutmeg with this season, so why not send some around! You can easily toss a few tablespoons in small Ziploc baggies and mail them with cards without increasing your shipping costs too much. 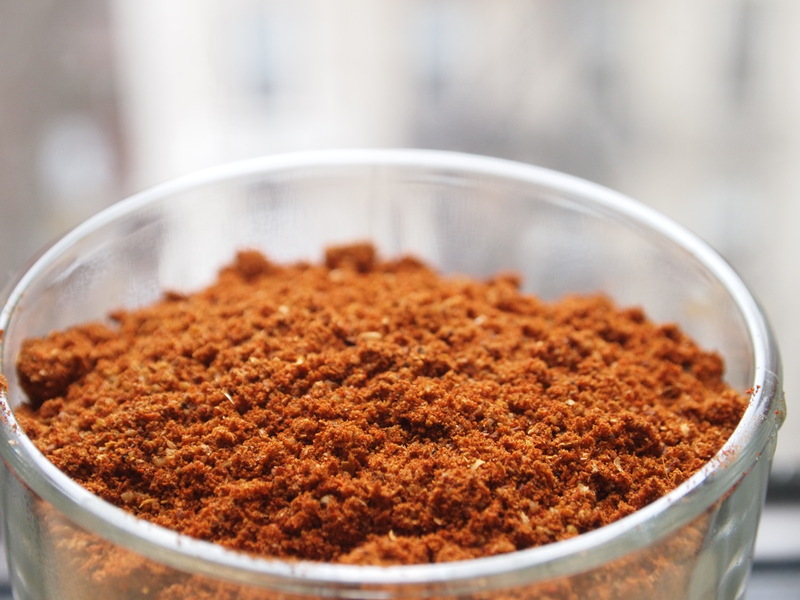 The spice mix du jour: Barahat, a Middle Eastern seasoning. I like it even more than the better-known za’atar. I am also working on my food styling/photographing skills, so please give comments and tips! Grind it all up using a mortar and pestle, spice mill, or coffee grinder. Store in an airtight container for up to 3 months. CELIA! Your photography looks amazing, I LOVE the natural light- very pretty 🙂 Can we please have crafting/ cooking night when winter break is over and I return to the world of the living?